Been away for a while spending time with grandkids. Internet takes a backseat to family only seen during spring and summer. Got behind looking at photos from alk3r.wordpress.com. 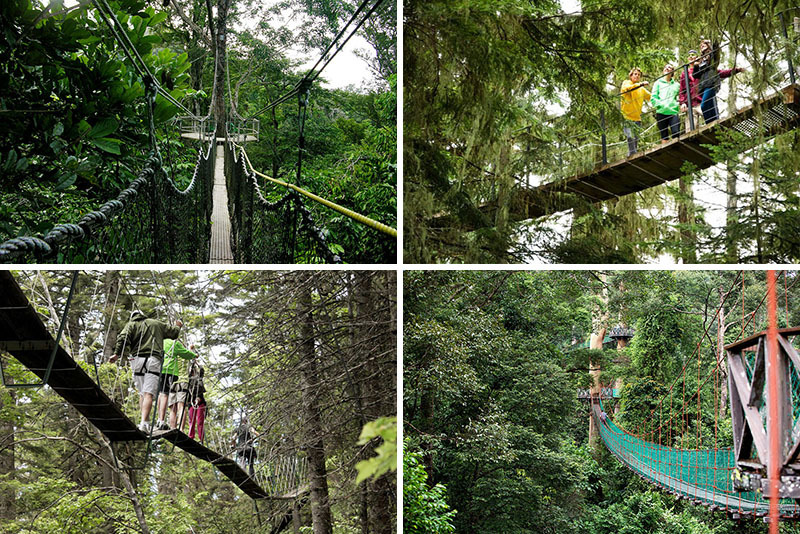 Still, incredible shots of swinging bridges in treetops around the world. Much like suspension bridges, tree top walks are a great way to get close to nature and see the world from a new perspective. The series of bridges that make up these tree top walks are usually suspended high in the trees and have lookout points along the way so you can stop on a secure platform and take in your surroundings.